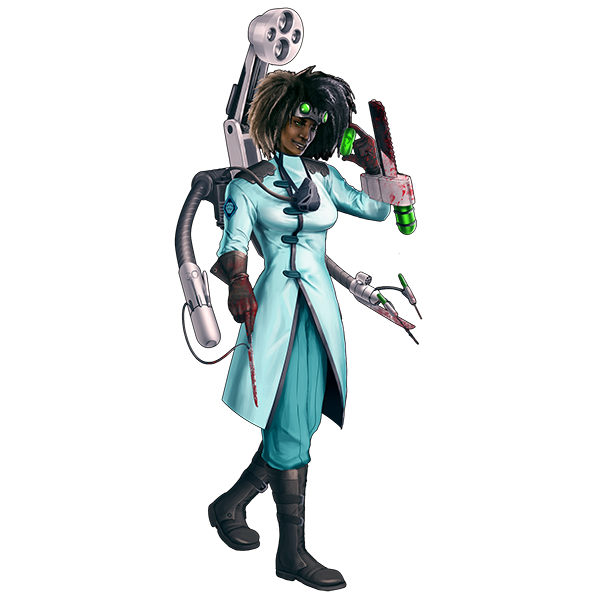 Created for one purpose, this faction relentlessly looks for the vaccine against the virus C, originally only affecting cyborgs. It has gradually mutated and can now cause up to the death of any biological host organism, who dies in horrendous suffering. She seems ruthless but determination is her first quality. Ready to do anything to succeed, she does not hesitate to use very questionable methods on cyborgs to preserve all “living” things. Her direct opposant is Craig Hashan, the leader of the CyberRights, the Cyborg’s faction but we will introduce it in a future devlog.